Laughing doves for sale R20.00 each. Contact Lourens on 0827454798 / lourens.vanstaden184@gmail.com (Roodeplaat area, Pretoria). 3 Pairs pied tambourine breeding stock doves. 0-0-60 Bengalese Finches (2018-19) R30.00 ea. 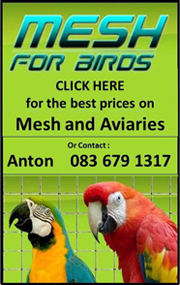 Bird Aviaries for sale R3000.00 negotiable, to be collected. 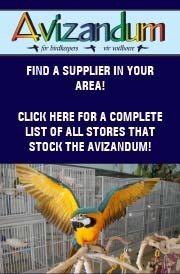 There are a total of 6 aviaries. 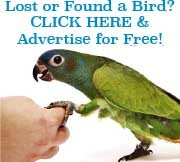 Looking for Pin Tailed Parrot Finches. Absolutely Beautiful Birds and Rare in SA. R7500.00 each, excl Box and transport. Can transport anywhere in SA from East London. of te ruil vir ander voels..
10-10 Borderkanaries skougehalte R400.00 per paar. 0-1 Pied diamant duif wyfie R200.00. Gouldians. All possible split for Blue. 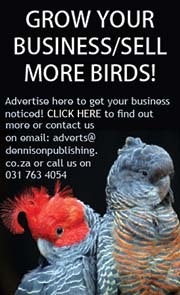 Young mature birds ready to breed R560.00 per pair. Dewormed, ID tagged, flea&tick checked etc.